By Brian Beaky Editor, PlayOn! It's about Michelle Akers. It's about Kasey Keller. It's about Marcus Hahnemann and Michelle French, Mike Ryan and Karl Grosch. But it's also about so much more. When a small group of individuals, led by then-Washington Youth Soccer president Doug Andreassen, gathered a few years ago to discuss the rich history of soccer in the state of Washington, the idea formed to create a means of recognizing the many players, teams, coaches and other individuals who have turned the state of Washington from a distant outpost on the global soccer scene, to the beating heart of soccer in the United States — home to the largest Major League Soccer fanbase and the most successful expansion team in U.S. sports history, and a thriving youth soccer community with over 100,000 players. Washington State Legends of Soccer was born. 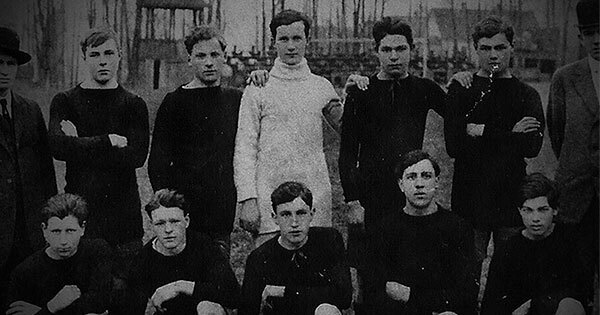 "It started with a group of individuals with a common interest in sharing the history and accomplishments of the game in our state," says Frank MacDonald, one of the group's founding members and a longtime soccer contributor as a journalist and public relations representative for the Seattle Sounders and Sounders FC. "Our history is robust, and it got that way by standing on the shoulders of individuals that have come before. We want to help tell those stories." After percolating several ideas, the group was finally given a deadline to act when Seattle Sounders FC announced plans to build The NINETY, an all-new gathering space for supporters in the Pioneer Square district. The club informed group members that in addition to displaying club history — trophies, uniforms, etc. — they wanted the space to celebrate the entire history of soccer in the state of Washington. And they needed a display ready to go in just six weeks. MacDonald, Andreassen and their Washington State Legends of Soccer team — including Lee White and LeAnn Johnson of the Sounders FC Alliance Council, and Jim Boyle and Colin Dierckins of UW Medicine — went to work, scouring local and national archives, soliciting donations from individuals with items of interest, and piecing together an exhibit that would do justice to the history of soccer in the Evergreen State. They found nearly century-old photos of a Black Diamond team from 1916, a roving squad of immigrants, pioneers and others who helped introduce the game to our state, playing games against the likes of the Franklin Miners (a team comprised of actual coal miners) and Dr. Reid's Electro Dentists. They mixed in those and other classic images with banners celebrating more well-known legends of Washington's soccer history, players like Jeff Stork, Roger Davies and Akers, who helped draw attention to the state of Washington at the time when soccer first started to grab the attention of the American public. By the time they were done, the Washington State Legends of Soccer had crafted a mission statement — in part, to provide "a forum where the works and accomplishments of the game and its people from all levels and associations can be preserved, recognized and celebrated, and where new generations can be engaged, educated and enthused about the greatness of the game" — and an exhibit that earned raves from all who attended The NINETY's grand opening in March. With their flag firmly planted at The NINETY, future plans include exhibits in other locations, an immersive online experience and more. Eventually, MacDonald says, the group envisions having their own space in which to host a state soccer Hall of Fame, and an annual event celebrating the history of soccer in our state at all ages as new players, teams, coaches and contributors are inducted. Those interested in making donations or learning more about Washington Youth Soccer Legends of Soccer are asked to email walegends@gmail.com. In addition, fans can stay up-to-date on the group's progress by liking their Facebook page at Facebook.com/WaSoccerLegends and by following them on Twitter at Twitter.com/WA_Legends. "I love history," MacDonald says, "and I love soccer. To be able to help preserve these treasures for generations to come is something that would be very meaningful."